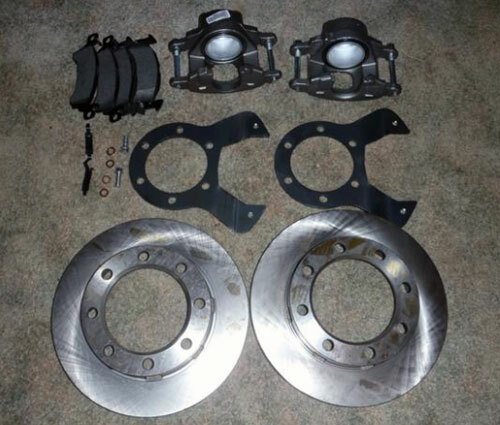 Upgrade the OE disc brakes on your 1975 to 1989 Dodge Dana 60 with our disc brake upgrade kit! 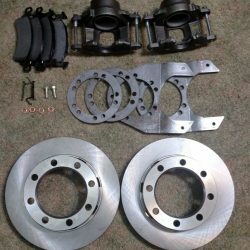 This Dana 60 axle brake upgrade kit is for 1975 to 1989 Dodge trucks. 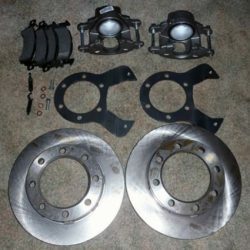 A new and improved design, our kit now works with all known aftermarket knuckles including Crane Knuckles.